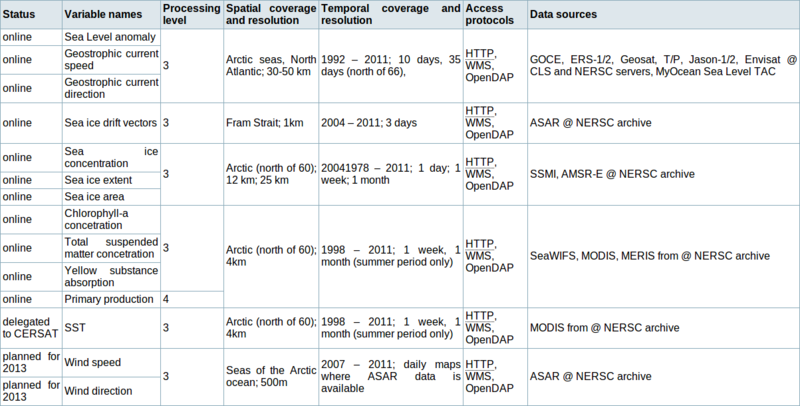 Many of the remote sensing products offered through NORMAP are initially developed and managed in other projects. Some of these products will be modified in NORMAP, but initially the original product manuals are listed below. NERSC Product manual for "Absolute Dynamic Topography"
NERSC Product manual for "Sea Ice concentration"
NERSC Product manual for "Ocean color products (Net primary productivity and water quality)"